Lumineers by Cerinate are exceptionally thin porcelain veneers that can be placed over natural teeth to cosmetically enhance the look of stained, chipped, misaligned or spaced teeth. In most cases, the Lumineers can be placed without removing any existing tooth structure, which means that there is no need for anesthetic, and no discomfort. The Lumineers are made of Cerinate porcelain which has clinically been proven to last over the past twenty years. The strength of the Cerinate porcelain allows Lumineers to be as thin as contact lens. 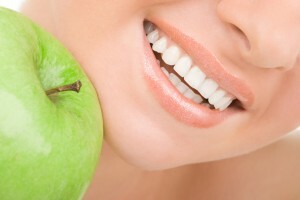 They are often used to strengthen, lengthen, and shape teeth, and will permanently whiten teeth. Lumineers are a pain-free, non-invasive alternative to beautify smiles and to improve the appearance and overall self-image of many patients.